We love Softube’s Tube-Tech Classic Channel (Review Here) and Softube has updated all Tube-Tech plugins with a fresh new look, added features and upgraded sound. 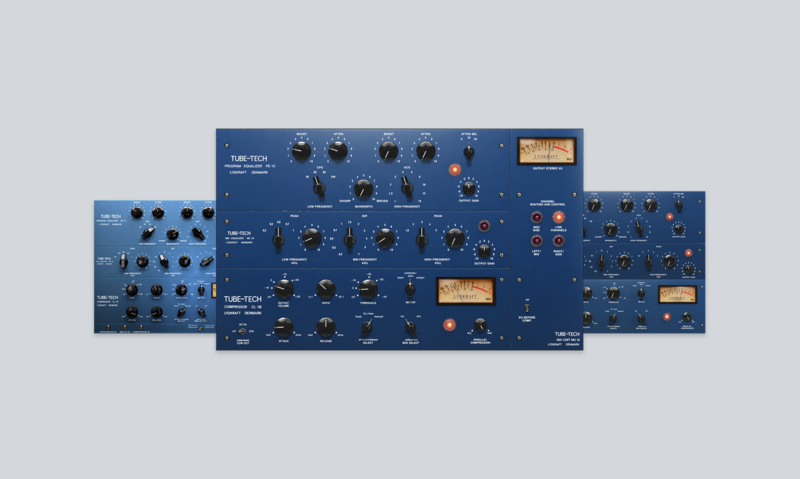 The new Tube-Tech Complete Collection contains the plugins from the Classic Channel as well as the MkII versions. As long ago as 2006, Softube began work on what would become the definitive plug-in representations of Tube-Tech’s best and most highly-prized units. All four plug-ins had the distinctive and appealing blue faceplate, and just the right blend of simplicity and flavor to make them firm favourites with artists and engineers across genres and generations. And now they have been ‘re-mastered’ to look and sound even better. For the first time ever, the two EQs exist in a single plug-in GUI, giving the complete intended workflow immediately and intuitively. The CL 1B Mk II compressor features new sidechain low-cut filtering, and a parallel blend knob. On top of the new features in the CL 1B, the Classic Channel Mk II now has mid/side processing capabilities. New organization of the range means that for prices matching the original individual plug-ins, you can now buy or upgrade to one of three ‘collections’, which include the appropriate legacy versions along with the better-than-ever re-mastered plug-ins.